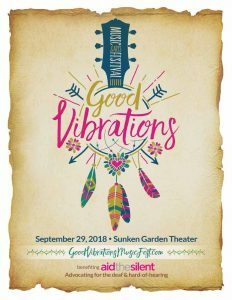 The Good Vibrations Music & Arts festival is an all day event that will bring together hearing and non-hearing festival goers in an unprecedented event. Good Vibrations Music & Arts Festival (GVMAF) is an all-day affair, which was inspired by a dream of inclusion and equality for all. The internationally-recognized festival is a tribute to the deaf/hard-of-hearing (HOH) community. GVMAF will bring together hearing and deaf/HOH individuals to enjoy music side by side—a unprecedented endeavor. Taking place on Saturday, September 29, 2018 at the Sunken Garden Theater in central San Antonio adjacent to the San Antonio Zoo, hundreds will gather to take part in the event. With the help of select hearing-solutions industry leaders the festival will be completely deaf/HOH accessible highlighting real-time captioning; sign language interpretation; T-coiling, a looping technology that allows hearing-aid wearers to tune into the music directly; SUBPACS, a transformative wearable audio technology that converts sound into high fidelity vibrations; and a synchronized LED dance floor that will harmonize to the beats of the music. The festival will accommodate the deaf/HOH community in a magnitude never-before seen. It will set a new standard, not only providing accessibility but unique opportunities for sensory experiences to all persons with hearing disabilities. This is a dream national speaker Emma Faye Rudkin, who is also profoundly deaf, has hoped for since a young age. Rudkin is a deaf musician who plays four instruments. When she won the titles of Miss San Antonio in 2015 and 2017, the platform offered an opportunity to bring awareness about her mission to assist the deaf/HOH community through the nonprofit organization she founded, Aid the Silent. “When I started thinking about how to help others who fall into similar circumstances, I recalled all my struggles growing up as a deaf person. I wanted to be treated and experience the world as any of my friends and family did. It was then that Aid the Silent came into fruition,” she said. But this fun-filled day isn’t just a good time. It is an event with a cause. The benefiting nonprofit, Aid the Silent, is a Texas-based organization with a mission to break down barriers associated with hearing loss. Aid the Silent helps deaf and hard-of-hearing children and teens receive equal access to opportunity by providing financial assistance to enhance communication methods; gain access to education resources; and to improve their overall health, both mental and physical, that leads to individual growth socially, educationally and spiritually. 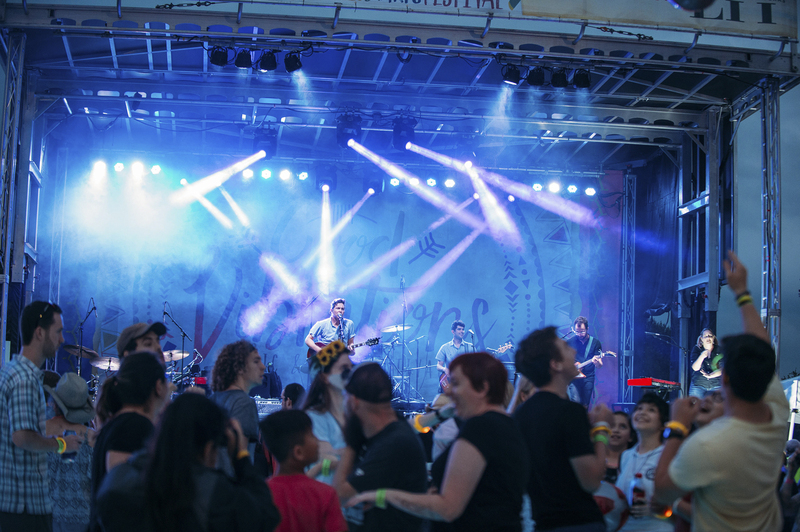 The goal of the festival is to be a place where festival-goers (hearing and non-hearing) can enjoy, side-by-side, a full music experience, where people of all ages, backgrounds and circumstances can enjoy crafts, food and good music, together. A place where all can experience a completely interactive, sensory-filled concert and walk away with knowledge about hearing loss. Last year’s event hosted 2000 attendees 350+ whom were (D)deaf/HOH. More than 140 volunteers, 39 sponsors, 45 vendors including food trucks. This year, the numbers are expected to increase significantly.